In loving memory. 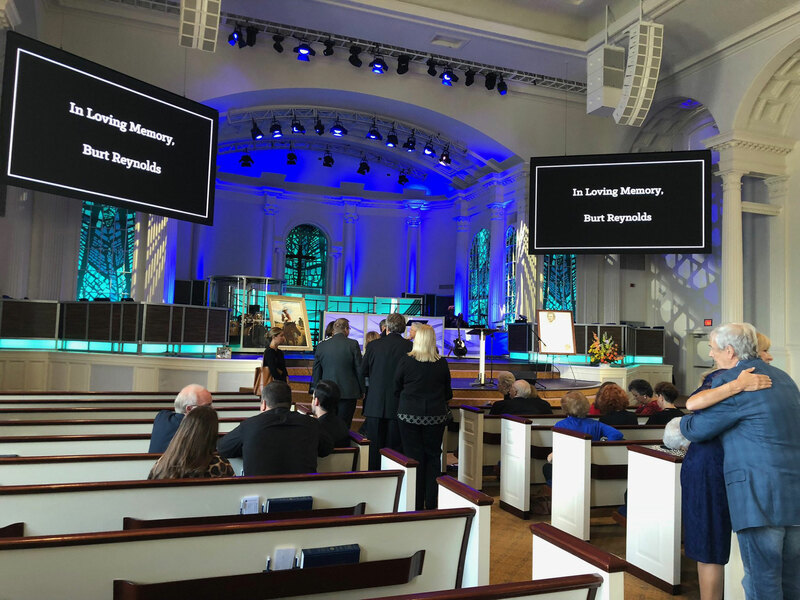 Burt Reynolds’ family and friends gathered for the late actor’s private funeral at Family Church in West Palm Beach, Florida, on Wednesday, September 19. 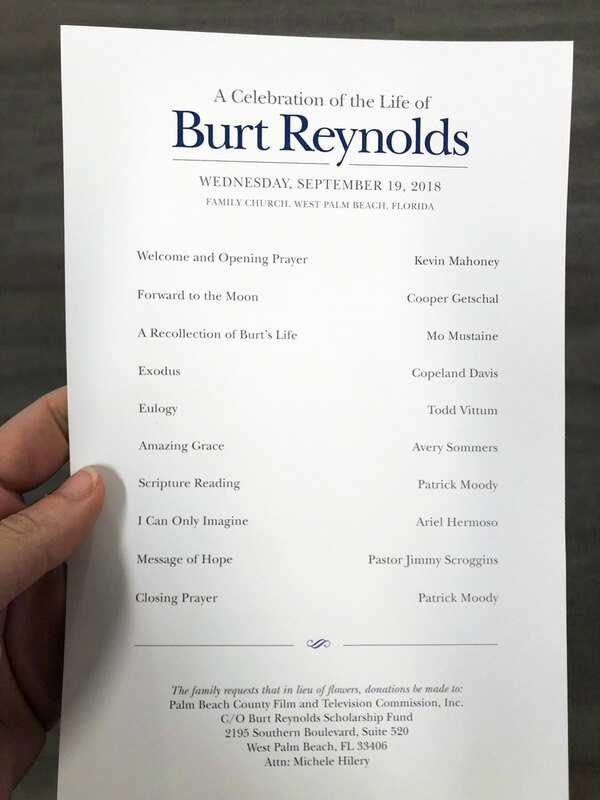 The service started with an opening prayer followed by a performance of “Forward to the Moon” from local singer-songwriter Cooper Getschal, who had been a student in the Gunsmoke star’s master acting class at the Burt Reynolds Institute for Film and Theatre. The funeral also included a scripture reading and a “Message of Hope” read aloud by pastor Jimmy Scroggins. It ended with a prayer from the actor’s Smokey and the Bandit II costar Patrick Moody. 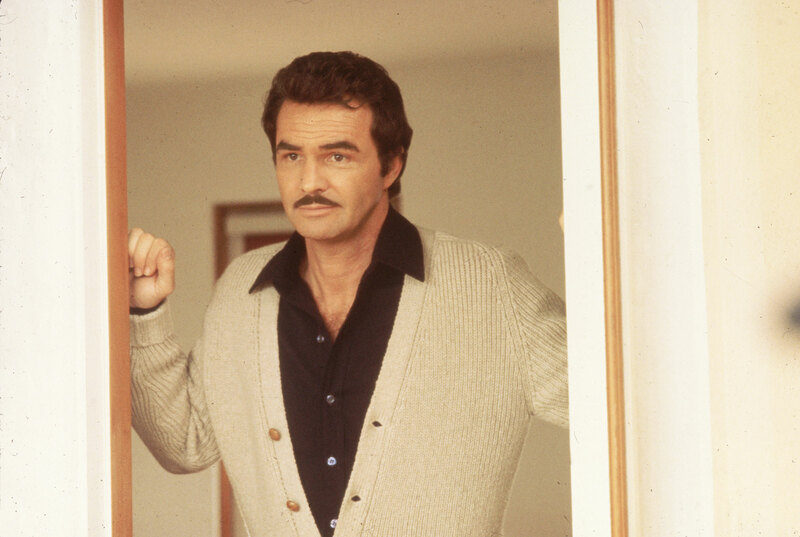 Us Weekly broke the news that Reynolds died at the age of 82 on September 6 after suffering a heart attack at a Florida hospital. Reynolds is survived by his 30-year-old son, Quinton.